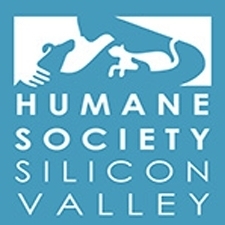 ​Humane Society Silicon Valley is an independent, non-profit animal shelter that has been serving people and pets for 80 years offering an adoption program with a full spectrum of pet and community services: A Medical Center specializing in affordable spay/neuter, vaccinations, microchipping and testing services; A Dog Park; Training and Grooming services; An Education Center with programs for children and teens; A Community Room that can be rented by groups for meetings; A Whole Pets store, and a Pet-Friendly Cafe. All proceeds from these services support our life saving work. Reimbursement up to 100% of vet bill, deductibles as low as $0, no vet exam required to sign up, and fast reimbursement - most claims processed within 2 days. No place better to take your pet! All of my cats (past & present) get the first hand treatment from a real Veterinarian doctor who truly cares for my pets well being. Doctor Saini has taken care of all my pets for over 20 years. The clinic is clean, private and comfortable for us. So far we are very happy we made the drive all the way to Animal Medical Clinic, Great staff, very knowledgeable and helpful. Thank you again for all your help with our precious girl Arya. We look forward to seeing you again. Nice place to board my dog while vacationing. Staff are very professional. Everyone was friendly. It was very clean,and Dr. Saini answered all my questions and I didn't feel rushed. Nobody rushed us. Everything was explained. We felt that the whole staff liked our pet and us. The phone follow-up was unexpected and very much appreciated. This was a referral but I was so impressed that we changed vets on the spot. Dr. Saini explained what he was going to and what we could expect. He took time to guide us on training my new puppy with eating and pooping. Appointment was quick and efficient. The staff, Greta and Amar were very friendly. Thank you! The staff are very friendly. They listen to your concerns and needs. They help you understand everything that they are going to do before performed. They care about all the animals that come through their doors. 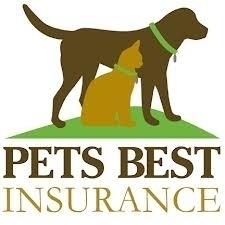 My pets have been seen for 17 years, I have had no problems, and Doctor Daljit Saini and staff are always there when I need answers to my questions, and appointments or walk-ins are always available for me. Dr. Saini was recommended by a friend - he was very patient and took time to answer all my questions. The staff loved our little puppy. So glad we took our little guy to this place. We look forward to working with Dr. Saini and his great staff. Staff is very professional, kind, caring and informative. The vet and staff have been amazing to our dogs. We have now been seeing Dr. Saini now for more than 8+ years and would never take our dogs anywhere else ever. The Dr. goes above and beyond to ensure the animals are treated with love and kindness. I have been going to Dr. Saini for 26 years. He knows his stuff. He has prolonged my dogs’ lives, when they were old. He has a wonderful staff. I have a healthy, active pup after 13 years of repaired injuries and competent routine care, including excellent dental care. All the care she needed while nothing unnecessary or extraneous. I recommend Animal Medical Clinic at the highest level. Dr. Saini can be counted on to help us keep our pets as healthy as possible. ​Been taking my dogs here for almost two decades. Great staff! Dr. Saini is a great veterinarian. I am overjoyed at the professionalism and care that my kitty Cleo received at the Animal Medicine Clinic in Milpitas this last week! The staff are friendly, I was seen on time, and the thoroughness of the treatment was magnificent. I cannot say enough good things about this clinic, Dr. Saini, & his staff. THANK YOU!!! "Thanks for a great first visit. Positive experience, clean environment, and a happy puppy with his first vaccinations--all contributed to our 5-star rating. Keep it up!" "Quick and excellent service!! Dr. Saini was very knowledgeable and understanding regarding my needs and my kitten's needs. I would come back!!" "Clean, wonderful staff, and I felt comfortable asking all my questions. Five Stars!" "Great service. Dr was great and very helpful. I would recommend him to others." "My animals have been seen by Dr. Saini for the last 20 years and I trust his professional decisions. He cares about my cats and makes sure I understand when vaccinations are due and always sees us promptly when emergencies arise. I trust Dr. Saini and will continue to see him." "I always get the best care for my pets by Dr. Sani and his staff. They take the time to listen to my concerns and explain with answers I can understand. 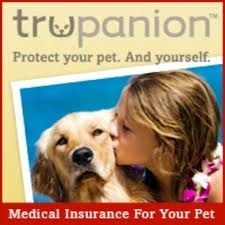 Weather it's routine appts or urgent ones, I know my pets are in good hands at Dr.Sani's office." "We have been using the center since moving to Milpitas in 1987. The staff and Doctor are a pleasure to do business with and we feel our two little ones are getting the best medical care possible." "This is a very intelligent and caring veterinarian. Every visit has helped me understand my dog's health better. Before going in for a visit, I research online to be prepared. And each visit I am pleased to learn new information from the great Doc!" 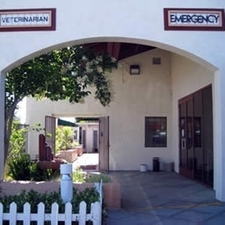 "Good care of all the animals we have brought in over the last 10-15 years. Thank you!" 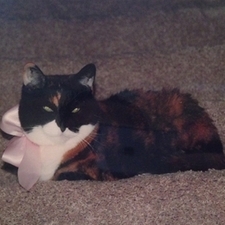 "I appreciate your counsel and advice to keep my cats healthy and happy. I have been a customer for a long time and I come back even though I have moved."